The Shed is already open to the public as of April 5, but Cedric’s won’t open its doors until later this month. Nevertheless, I was able to interview Danny Meyer during a press preview on April 3, and he graciously provided me with lots of answers, which I’ve written up over on Fortune.com. That includes real talk about the elimination of tipping at his restaurants (meaning incorporating gratuity for service into menu prices, a standard practice outside the United States) as well as controversy surrounding going cashless. 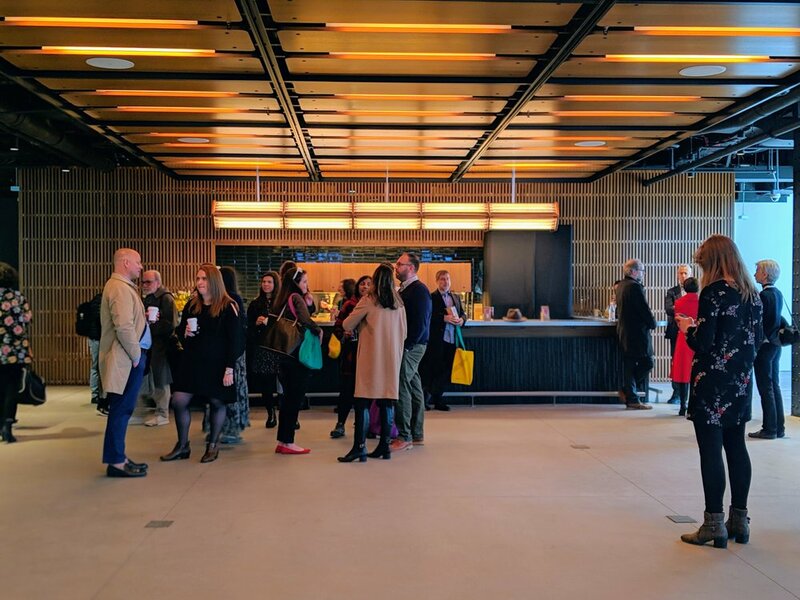 Given unusual development of Hudson Yards as a brand new neighborhood, the debut of The Shed is unlike even the relocation of The Whitney, about a mile south on the other end of the High Line. The area west of Penn Station is far less accessible by public transit (with the exception of one new subway station with just one line in service) prior to the opening of the shopping center and Vessel, the honeycomb-esque structure that looks like a castle on the map of Westeros during the opening credits of Game of Thrones. So the vision for Cedric’s and what role it will play is still a work in process.